Suddenly, everybody’s talking to their tech. Smartphones, TVs, even lightbulbs—all capable of being controlled with a home assistant. As the Internet of Things takes over your home, you’ll find more devices are suddenly capable of responding to your voice, thanks to virtual assistants like the Amazon Alexa. If you’ve got a spare Raspberry Pi handy, you don’t need to buy an Amazon Alexa device like the Echo or the Echo Dot, because you can build your own. This tutorial will explain how you can set up the Alexa home assistant on your Raspberry Pi. 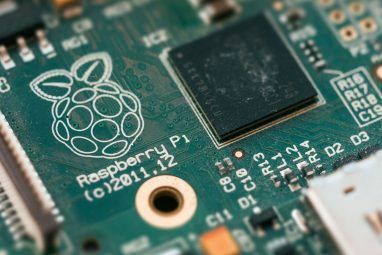 Before you start, and if you haven’t already, you’ll need to enable SSH connections to your Raspberry Pi Setting Up Your Raspberry Pi For Headless Use With SSH Setting Up Your Raspberry Pi For Headless Use With SSH The Raspberry Pi can accept SSH commands when connected to a local network (either by Ethernet or Wi-Fi), enabling you to easily set it up. The benefits of SSH go beyond upsetting the daily screening... Read More . If you’d prefer, you can set your Raspberry Pi up using a keyboard, mouse, and monitor. You’ll need a microphone, but if you don’t have one, a USB webcam with a mic will do the same job. Before you can install the Alexa software, you’ll need to create an Amazon developer account. If you’ve got an existing Amazon account, you can log in and register for an Amazon developer account that way. Once you’re signed in, go to Alexa on the nav bar, then Alexa Voice Service. Click Get Started, then Products > Create Product. Give your device a name and a product ID. Choose Device with Alexa built-in and select No to the companion app question. Select Other from the Product category dropdown menu and type Raspberry Pi in the provided box below it. Give it a brief description, such as “Sample Raspberry Pi Alexa build”. Choose Touch-initiated and Hands-free for end user interactions. You don’t need to worry about choosing an image. Choose No to the four final questions, then click Next. At the next screen, you’ll be required to create an Amazon security profile to link your security data to your Raspberry Pi Alexa. Click Create New Profile. Choose a name and description, similar to mine below. At the next step, choose Other devices and platforms, then insert a client ID name (this can be anything you like), agree to the terms and conditions and click Generate ID. You’ll then see a pop up telling you that your product has been created. Next, enable your profile. Go to the Login with Amazon developer page and select your profile from the dropdown menu, then click Confirm. Insert a domain like raspberrypi.local into the box provided, then click Save. 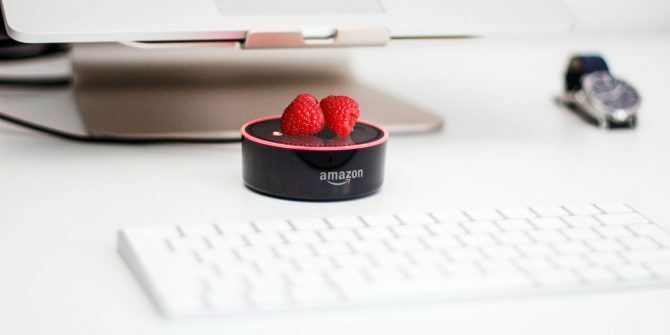 To install Amazon Alexa onto your Raspberry Pi easily, you’ll be using a script called Assistants Pi. This provides an easy method for you to install Alexa without needing to build the SDK manually. You should get a response confirming your version. If you don’t, reinstall PIP using apt. This will begin installing any necessary packages for you, as well as check that Raspbian is up-to-date. Once everything is installed, you’ll be given six options to choose from for your audio and mic config. Most people will need to choose USB-MIC-ON-BOARD-JACK, so hit 3 and press enter. Choose this option if you’re using a USB microphone with a speaker attached to the audio port. This will run a check of your speaker and mic to make sure your Raspberry Pi works with both. You’ll be given the option to choose to install either Alexa, the Google Home Assistant, or both. The script requires additional steps for the Google Assistant to be installed here, so it’s best to skip this. Choose option 2 to install Alexa only. You’ll need to enter your client ID. Go back to the Alexa developer portal to find this by clicking on your “product” name. Take note of your Product ID. Click your product name, click Security Profile, then Other devices and platforms. Use the Client ID found here, then type in your Product ID, before agreeing to the terms and conditions. Type AGREE and hit enter. The script will run through its installation, installing any other necessary packages it needs. This may take some time to complete. You may need to accept a license or two; just read through and hit Y to any confirmation menus. You’ll need to type in a code shown in the terminal screen on a page at the Amazon developer site. Type in the code, click Continue, then Allow. Assuming your Pi authorization went okay, you should see the sample Alexa script running. Test out your DIY Raspberry Pi Alexa device by saying Alexa followed by a command. For example, Alexa, tell me the time. Reboot one final time and test your device again by issuing another command, to be sure everything works. You don’t need to buy an expensive new device for your home to enjoy the benefits of a smart speaker. A spare Raspberry Pi makes for a perfect DIY home assistant, whether you’re building a DIY Alexa or if you want to build your own DIY Google Home instead. If a smart speaker for your home doesn’t take your fancy, maybe head outdoors and build some rugged Raspberry Pi projects 8 Fun Rugged Raspberry Pi Projects to Build for the Outdoors 8 Fun Rugged Raspberry Pi Projects to Build for the Outdoors Looking for some outdoors Raspberry Pi projects? These 8 activities use a Raspberry Pi in your garden, underwater, or in the sky! Read More instead. Explore more about: Alexa, Home Automation, Raspberry Pi. Not if you already have a Raspberry Pi!